Dr. Erica Matluck setting up a fall retreat in Yelapa, Mexico. Photo by @experiencesevensenses. Maintaining a steady yoga practice in an urban setting can be tricky. With the average class clocking in at 60 minutes and the struggle to find time for meditation, sometimes the answer is to get away from it all and find your zen elsewhere. While a typical vacation for most involves sipping cocktails by the pool, today’s sociopolitical sphere calls for a more mindful way to travel. Yoga can be intimidating. Wellness can be overwhelming. When did taking care of ourselves get so complicated? 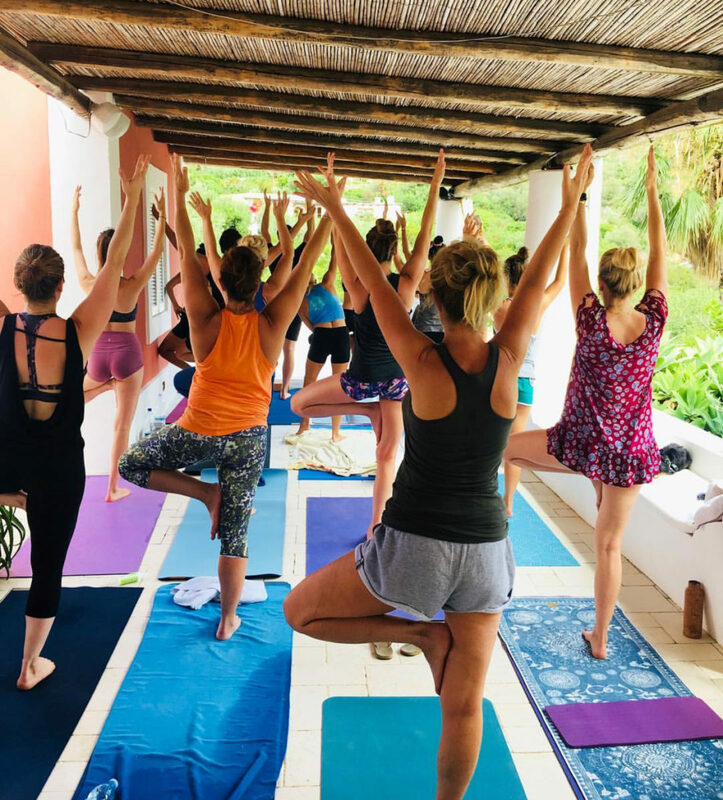 Between the juice detox and the advanced poses no one seems flexible enough to nail, there are plenty of reasons why people may be slightly put off by a yoga retreat. However, anyone who is half invested in their wellbeing and health can benefit from a yoga holiday. It all boils down to knowing your teachers and knowing what kind of retreat you want. There is something for everyone, no matter what skill level. Many of these retreats are popping up in some very exotic destinations and are not necessarily all yoga all day. Expect to be fully immersed in a new culture and have hands on teachers who answer all your questions and pay attention to why that king pigeon can be difficult for your body type. Think about it: you get to travel, meet incredible people, and take care of your mind and body. Win win. Yoga instructor @lauren.taus at HABITAS in Tulum. If you’re looking for an experience out of your comfort zone, Lauren will take you to Israel. Not just Tel Aviv, but to the Golan Heights, Jerusalem and beyond. While countries in conflict are often times overlooked, sometimes it’s important to focus on the good and the find peace in chaos. “It is the continuous traveler who overcomes his or her animal nature and evolves. An embodied life is one of optimization. You rise higher in all that you do - and you naturally encourage others to do the same” says Lauren Taus. Apart from her yearly retreats to Israel, she also hosts retreats at Habitas Tulum and Upstate New York. @yogaforbadpeople leading a class on the island of Panarea in Italy. 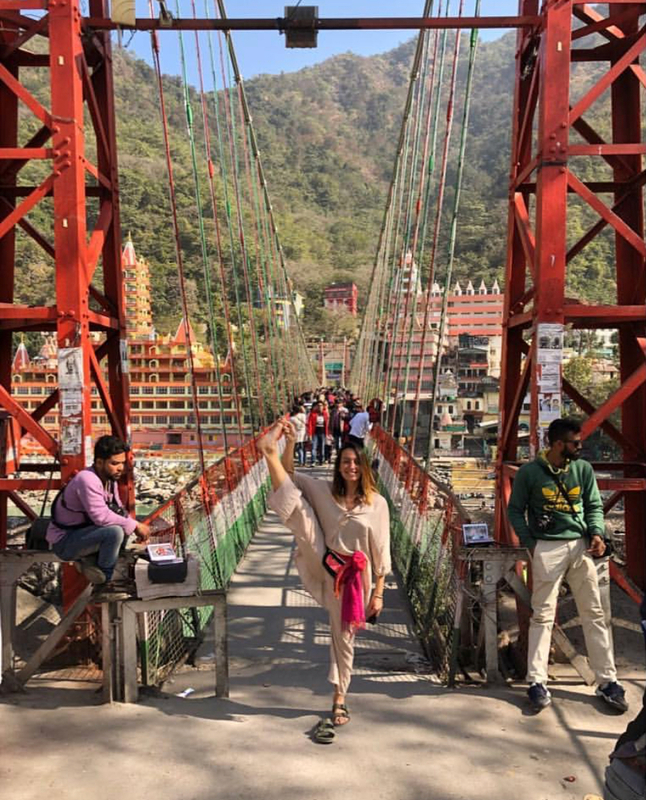 Photo by @gayaimmersions in Rishikesh. Gaya is a platform of immersive experiences sustained in three pillars: Healing, Education and Empowerment. By protecting Ancient Healing Traditions and keeping their teachings alive, Gaya focuses on helping people reach higher states of consciousness. These retreats are for those interested in learning about travel from a socio economic standpoint, diving culturally into the countries they visit, and exploring tradition while deepening their practice. 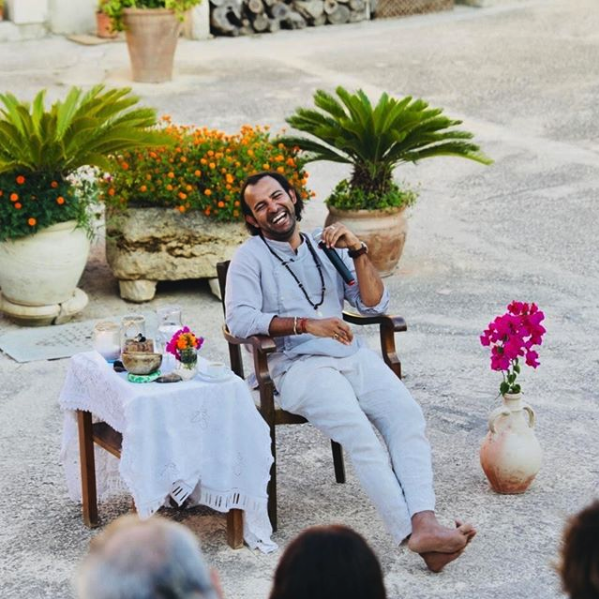 Gaya retreats involve humanitarian projects, events and experiences of self growing and mutual empowerment in places like Bali, Lisbon, and El Salvador. 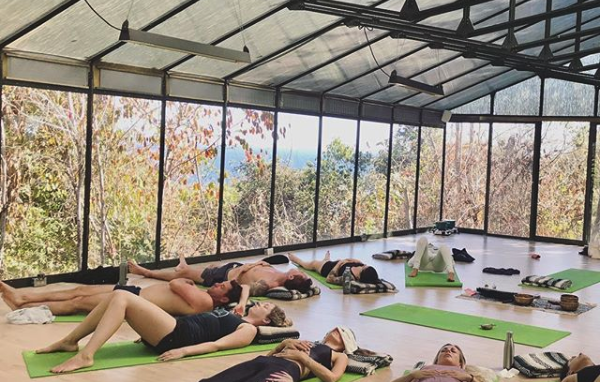 “Far from the noise and pollution of urban centers, the places chosen for our retreats allow you to relax in cozy surroundings where you can slow your mind and focus on yourself and your rejuvenation.” Retreat leader Sara Montes is a native of Lisbon who spends her time between Portugal and Bali. Seven Senses leading a workshop in Xinalani, Mexico. Photo by @experiencesevensenses. Seven Senses is not just a retreat. It is a transformational process where people rediscover their authentic selves, desires and gifts through the lens of the seven chakras. Not sure what that means? Our bodies are governed by seven wheels of energy, each with a unique purpose and direction. Each day you learn about one: you activate it, understand it, and unlock your true potential. Dr. Erica Matluck, the beautiful and bright naturopathic doctor behind Seven Senses uses breath work, yoga, sound meditation, group inquiry, archetype and reflection to lead people into transcendence, opening a door for new possibilities. “People come to Seven Senses retreats with a variety of intentions. The experience is designed for people in life transitions or those wanting to make big changes in their lives” says Erica, who focuses on the body, mind, and emotional realms of existence to lead people into transformation. Expect this retreat to change the way you think and feel about many issues—including yourself. Seven Senses takes place in Costa Rica and Mexico. Anand Mehrotra leads a laid back seminar. Photo by @theanandmehrotra. I came across Sattva during my last trip to India, accidently. Needless to say, this place impacted me in so many ways. First, because India is saturated with yoga centers and not all of them are authentic or high quality. Second, because Anand Mehrotra, the visionary master behind it, is unlike any yogi I’ve ever met. He is funny, knowledgeable, and teaches in a way that is uniquely his. 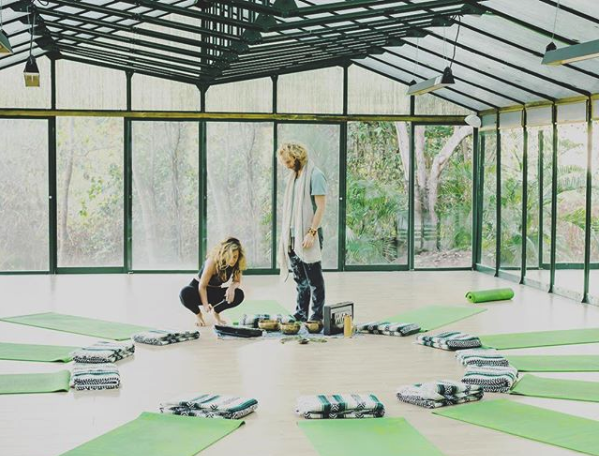 While Sattva operates mainly as a yoga school, they host international retreats in Sicily, Australia and Maui. The key to Anand’s teaching is his wisdom and guidance. Be willing to sit through a satsang and listen to important lectures, ask questions, and connect to your inner self. Sattva Yoga was developed in the Himalayas after years of study and research. This is an ever-evolving and inclusive practice of meditation, kriya, asana, movement, pranayama, radical aliveness, and timeless wisdom. It is an integral lineage experience. 100% life-changing.